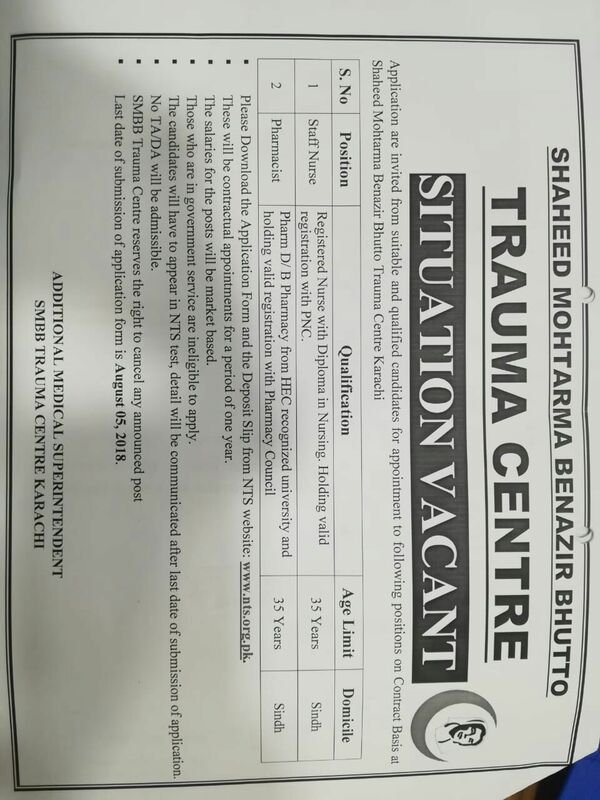 Department of Anesthesiology SMBB CHK Trauma center Civil hospital Karachi is dedicated to elevate the standard of comprehensive care of patients who have sustained traumatic injury from Sindh, Baluchistan and all over Pakistan. Care of patients who have endured traumatic injury requires a multidisciplinary approach that involves multiple medical specialties, the department of Anesthesiology plays an integral role by providing emergent resuscitation which include securing airway, fluidtherapy, treating coagulopathies, obtaining vascular access including arterial line and central venousaccess, optimizing mechanical ventilation, and ensure adequate analgesia in addition to care of patients on ventilator in trauma Bay of ER. Department of Anesthesiology provide services in operating theatre and intensive care unit. A twelve bedded intensive care unit fully equipped with invasive/noninvasive monitoring, ventilators, ABG and laboratory facilities, 24 hour availability of X-ray, ultrasound and CT along with a step down facility of eighteen bedded HDU. Anesthesia and ICU doctors along with paramedics are present round the clock to provide management to critically ill patients under supervision of anesthesia consultant.Department provide advanced and quality anesthesia services daily for nine operating theatres which include surgical management for temporary stabilization or definitive treatment of injuries in orthopedic, vascular, neurosurgery and acute care surgery in emergency theatres. The elective procedures are performed in fully equipped operating theatres for orthopedic, vascular, neurosurgery ophthalmology, faciomaxillary and interventional radiology suite. Anesthesia department also provide anesthesia service to cardiac surgery and supervise postoperative care of patients in 4 bedded cardiac ICU. A regular preoperative assessment of patients scheduled for surgery is performed by specialist anesthetist to improve patient care and safety. An eight bedded post anesthesia care unit provides post operative monitoring and management following surgery. Present academic activities include teaching and training of doctors and paramedics in daily academic ICU round and once a week interactive class by anesthesia consultant. Department is also involved in conducting workshops and CME. Future plan include training and teaching of postgraduates of MCPS and FCPS and extension of anesthesia services to Thoracic and burn patients.